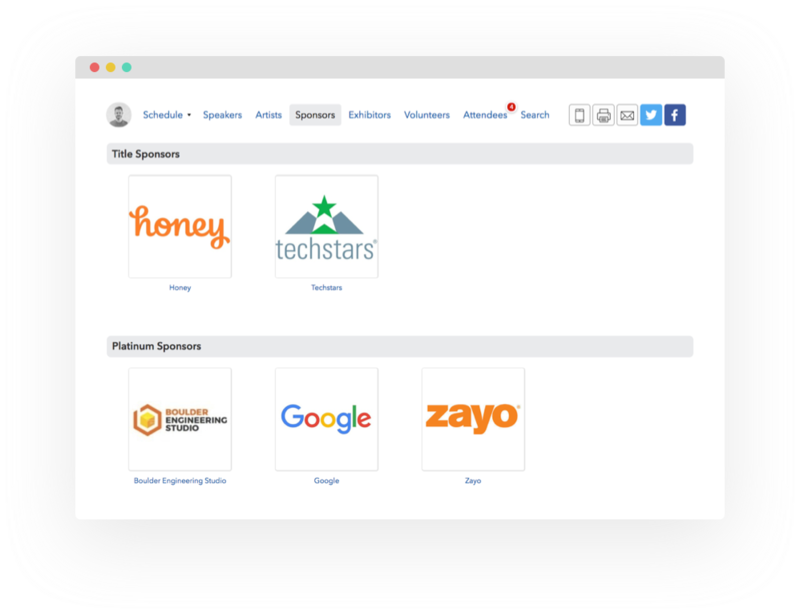 Sched makes it easy to show off your event sponsors. Don’t have any yet? Bundle together Sched’s branding opportunities to help sell sponsorships. 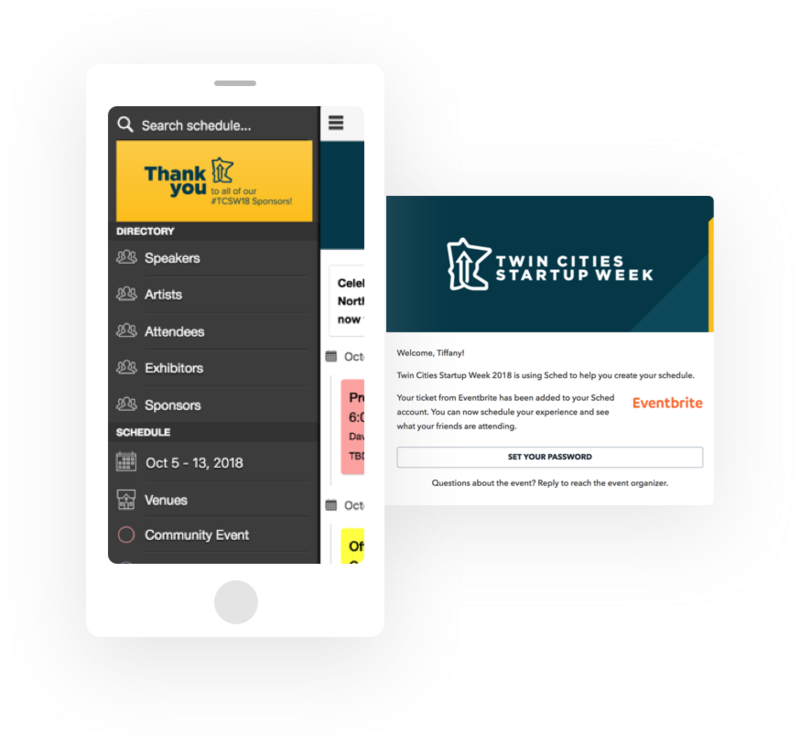 Create awareness for your biggest supporters and make sure your attendees know who makes the event possible. Display your sponsors along with their logo and website. You can sort them into levels to make sure each partner gets the exposure they deserve. 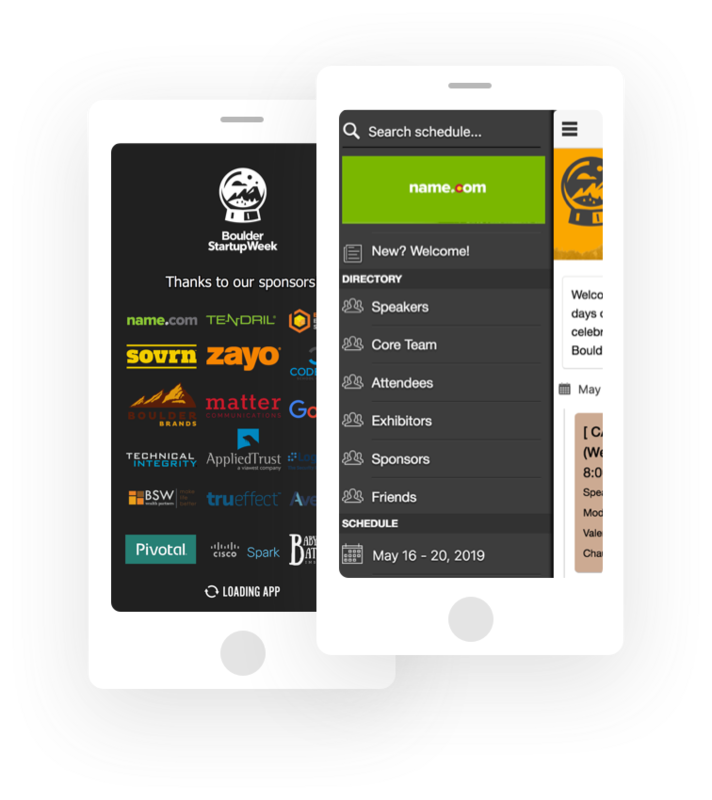 Integrate sponsor branding with your own throughout the app. Feature one main sponsor or several across multiple branding opportunities.